The housing market in China is likely to continue to cool in response to stricter restrictions on home purchases in many cities and tighter credit conditions, Fitch Ratings said on Sunday. There is evidence that the housing market is slowing. Growth in new residential property sales declined to 24 percent year-on-year (on a trailing 12-month basis) in May 2017, down for the fifth straight month from the 36.2 percent peak in December 2016, according to Fitch Ratings. For instance, new home prices in Shenzhen declined for a ninth consecutive month in June, with the average price in the city standing at 54,492 yuan ($8,038) per square meter, down 0.04 percent month-on-month and 11.8 percent year-on-year, according to Xinhua News Agency on Sunday. Some cities' land authorities launched restrictive policies on land purchases to provoke property development companies into buying land for a relatively reasonable price. This could curb high housing prices, according to a report released on Friday by E-house China, a real estate services provider. In June, the average land prices of 50 cities tracked by E-house stood at 5,277 yuan per square meter, down 3 percent year-on-year. Data show that housing trade volume has continued to decline over the recent months, and therefore, property market growth has deteriorated, but experts warn that the housing restrictions are only just starting. Beijing introduced the strictest curbs in history on March 17 in order to damper surging home prices. The minimum down payment ratio for second homes was raised to 60 percent from 50 percent, while those who don't own a home in Beijing, but have housing loan records, are also to be regarded as second-home buyers, according to a March report by Xinhua News Agency. Other cities, including Guangzhou, capital of South China's Guangdong Province, Shijiazhuang, capital of North China's Hebei Province and Zhengzhou, capital of Central China's Henan Province, all followed suit in order to roll out tighter buying curbs. The central bank has also urged domestic banks to strengthen mortgage risk control and crack down on irregularities. "Due to the introduction of the stricter curbs, the property market will commit to cooling down prices in major over-heated cities," Lai Qin, an analyst from Shanghai-based E-house China R&D Institute, was quoted as saying by Securities Daily on Saturday. So far, a total of 52 cities and regions have launched curbs on home purchases, including large first- and second-tier cities, as well as some third- and fourth-tier cities, according to the report by Securities Daily. The new curbs on home purchases that cover many regions are set to last a long period of time and mark the strictest measures in history, Yang Xianling, head of a research firm with real estate agency Lianjia, was quoted as saying by Securities Daily. The property market has subsequently cooled down under these strict curbs, noted Yang. 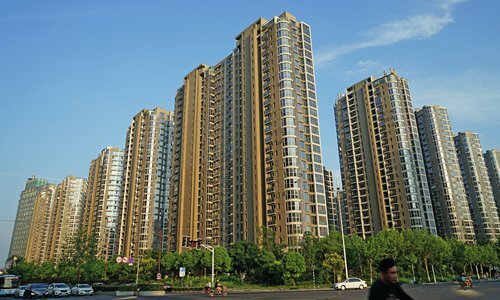 The trading volume of new homes in the four first-tier cities of Beijing, Shanghai, Guangzhou and Shenzhen declined by 21.2 percent in May from data shown in March, according to the Securities Daily. Particularly, the trading volume declined most significantly in Shanghai and Guangzhou. In the second home market, the impact of changes in home purchases is more obvious. The trading volume on June 28, 100 days after Beijing introduced the strictest curbs on March 17, was down by 70 percent compared with the 100 days before the changes, according to the report. "More cities will introduce curbs on home purchases in the future, which could effectively combat speculative activities," Zhang Dawei, chief analyst with real estate agency Centaline Property, was quoted as saying by the report. Housing sales are expected to further decline in the third quarter mainly because more third- and fourth-tier cities have started to introduce curbs on home buying, according to real estate research company CRIC. Experts say that the price adjustments might continue into the first half of 2018.